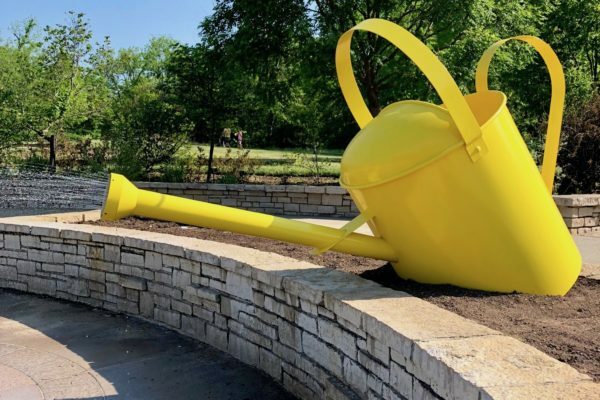 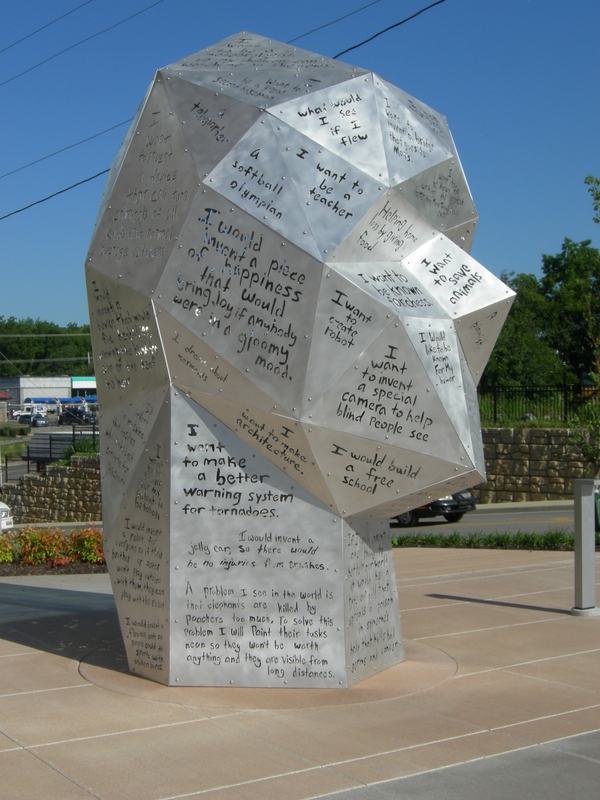 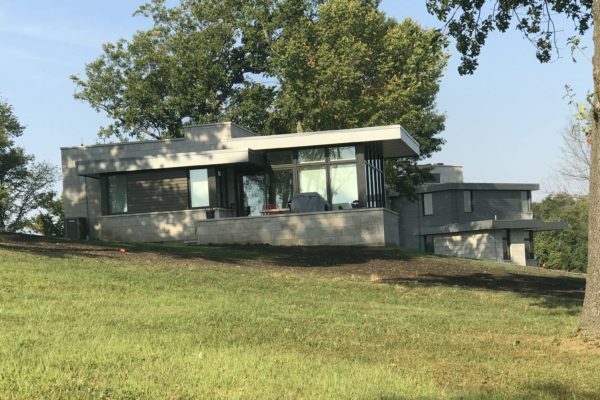 Working with local area artist Beth Nybeck, SSM helped make this aluminum sculpture a reality. 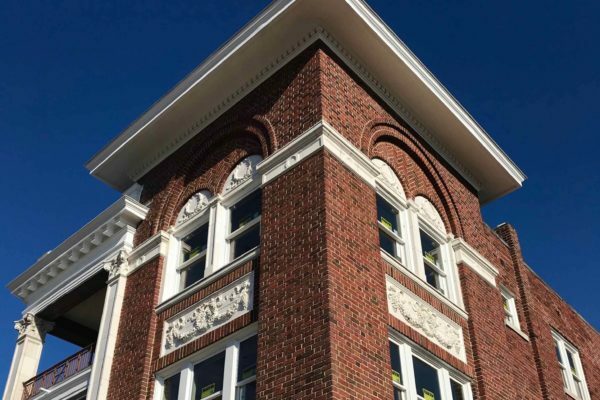 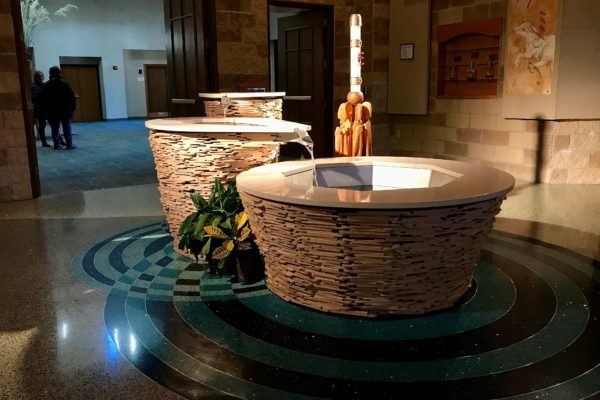 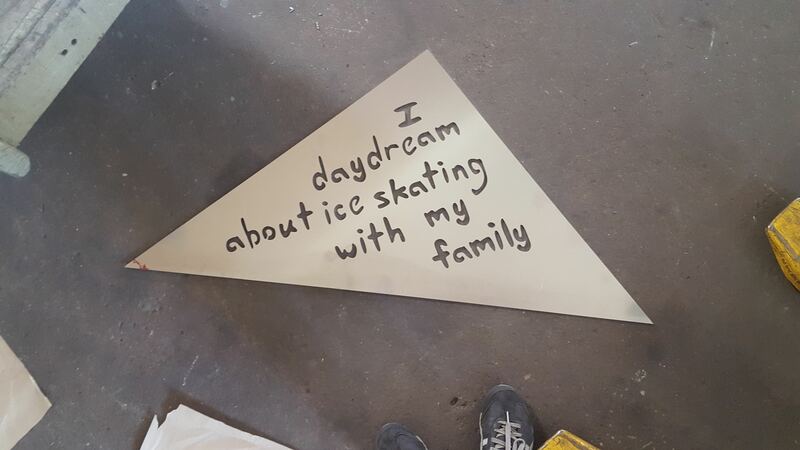 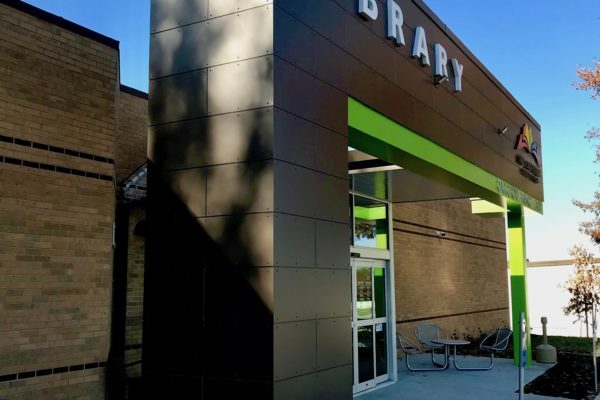 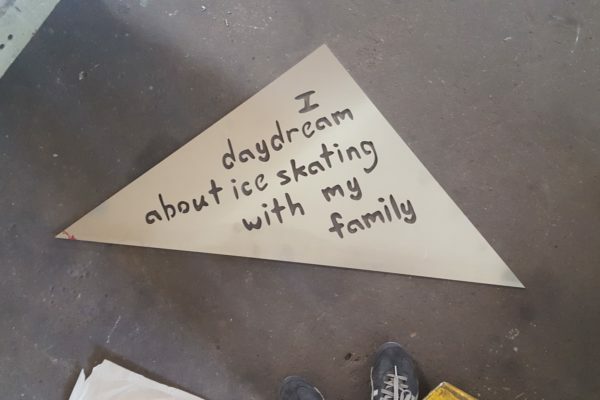 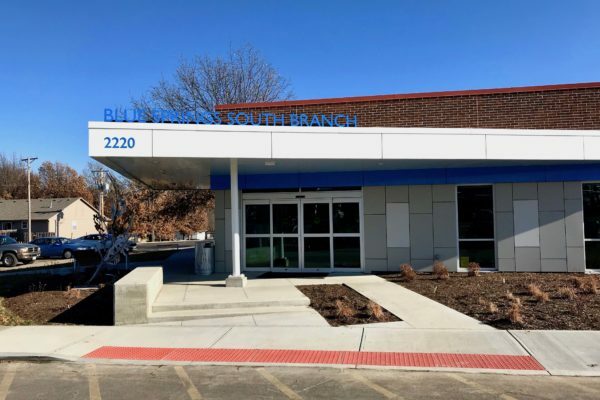 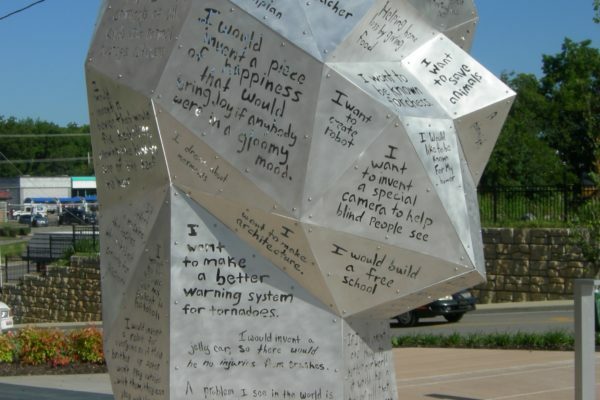 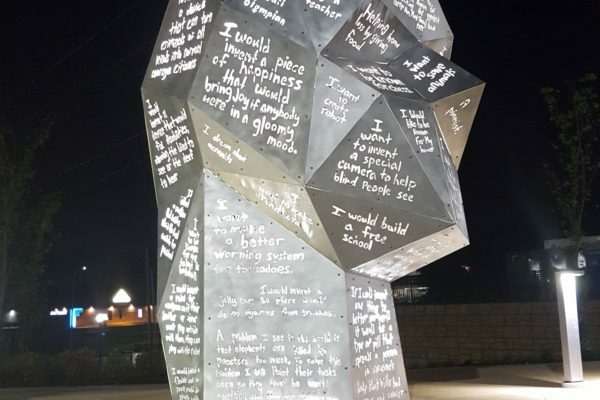 Incorporating the hopes and dreams of local youths, Nybeck’s artistic vision provided a place for those thoughts to live on by laser cutting their words into aluminum plate. 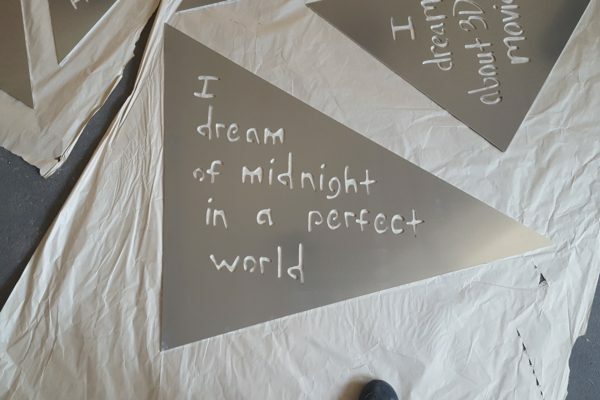 Working with Nybeck, SSM received scanned art work and converted those images into machine language, generating paths for our laser to follow. 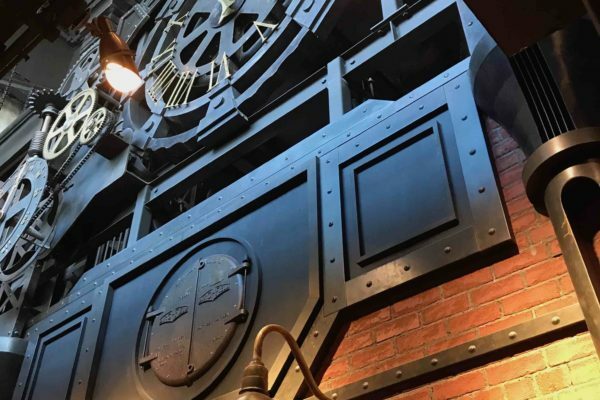 Once samples were produced and the desired aesthetic was reached, SSM began production. 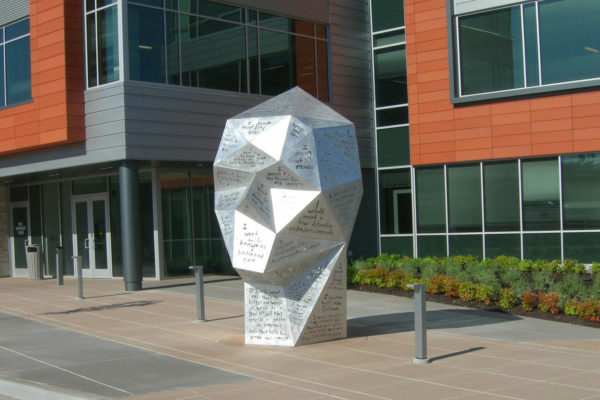 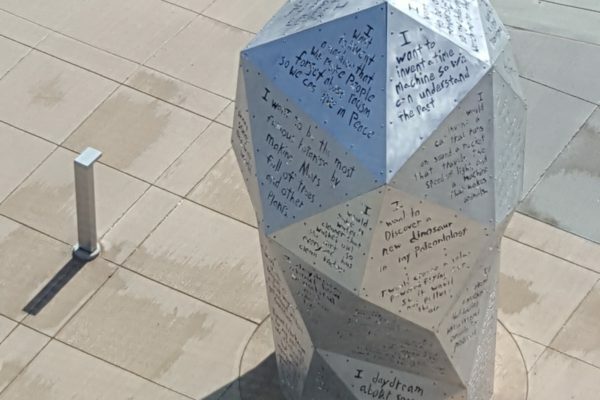 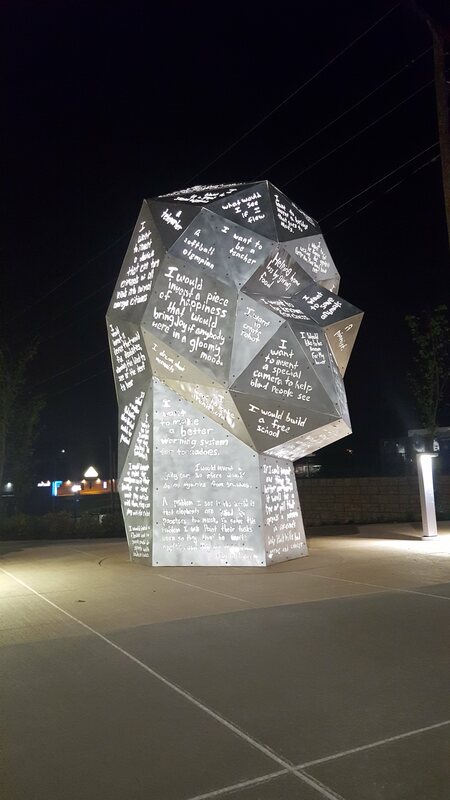 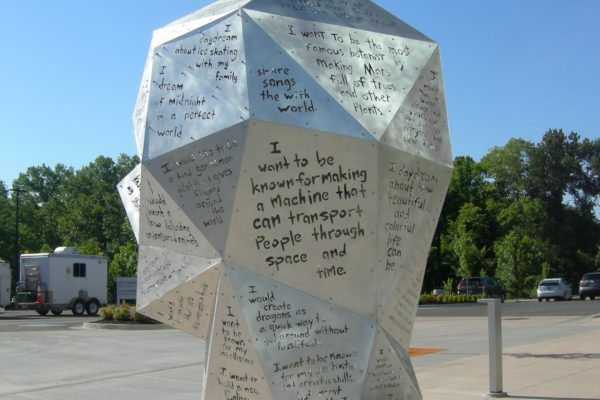 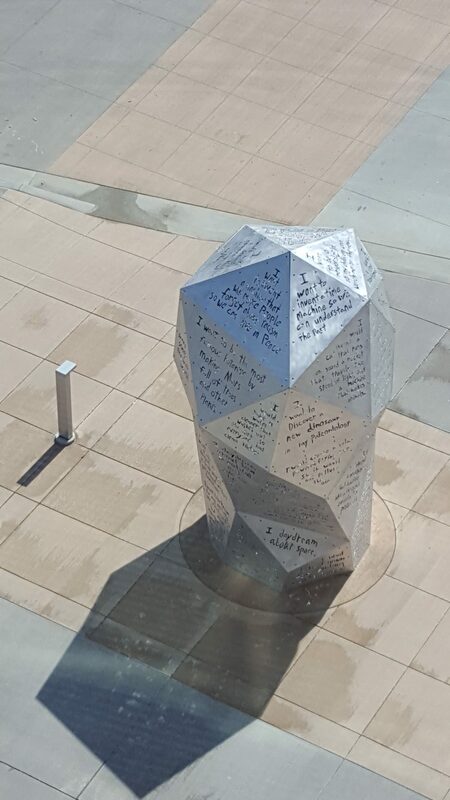 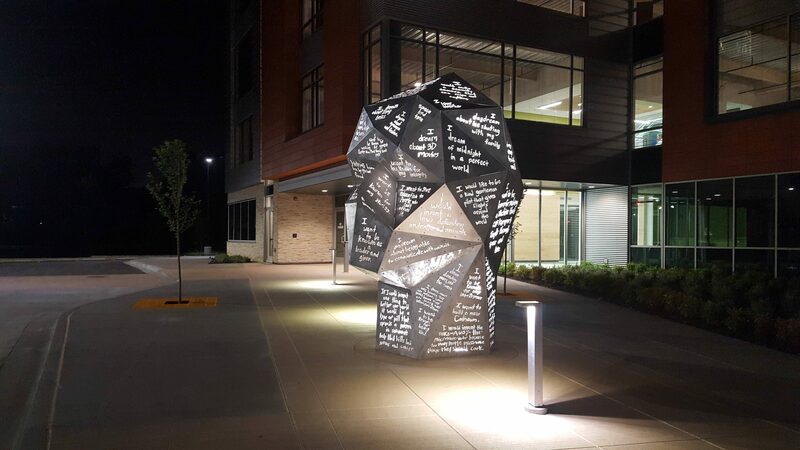 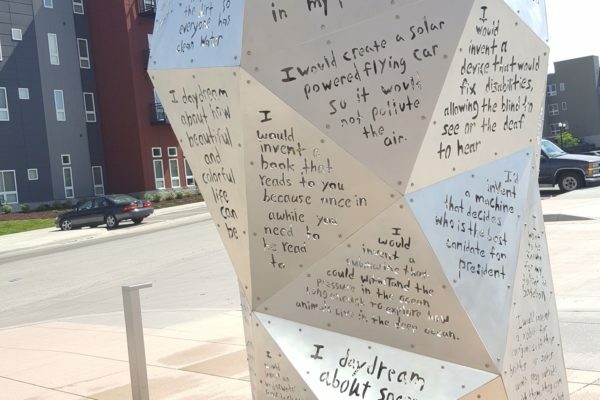 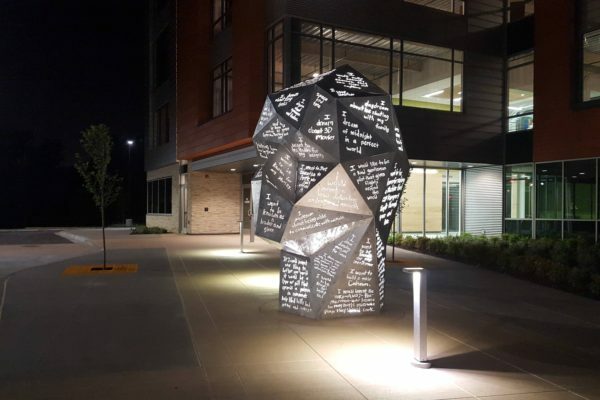 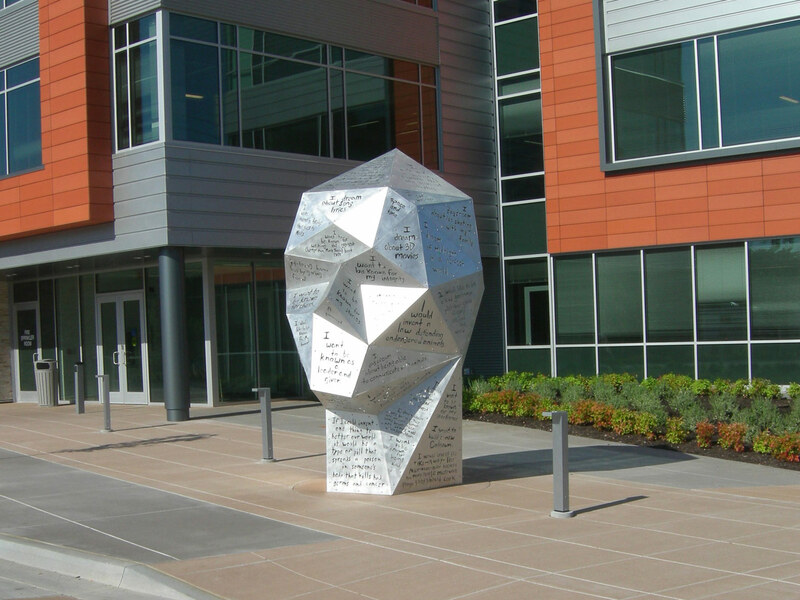 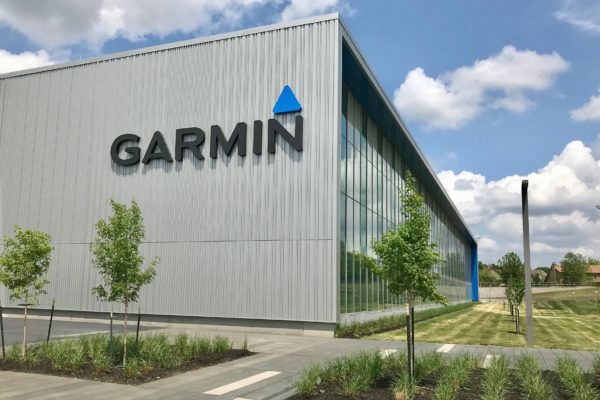 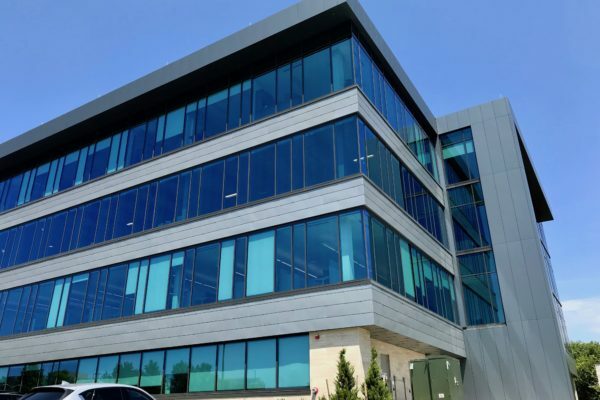 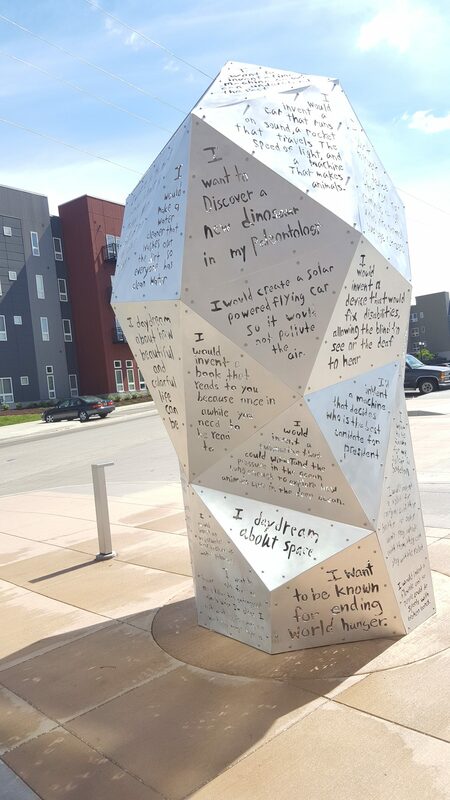 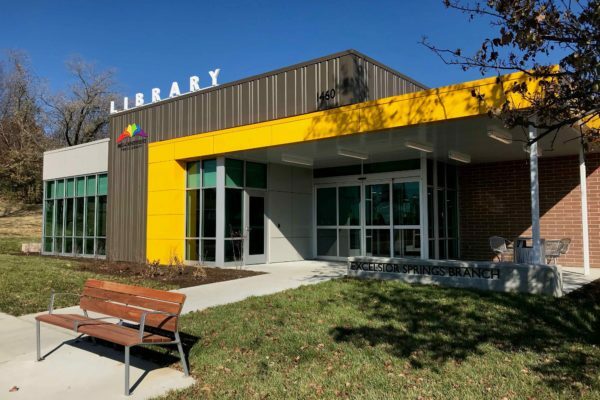 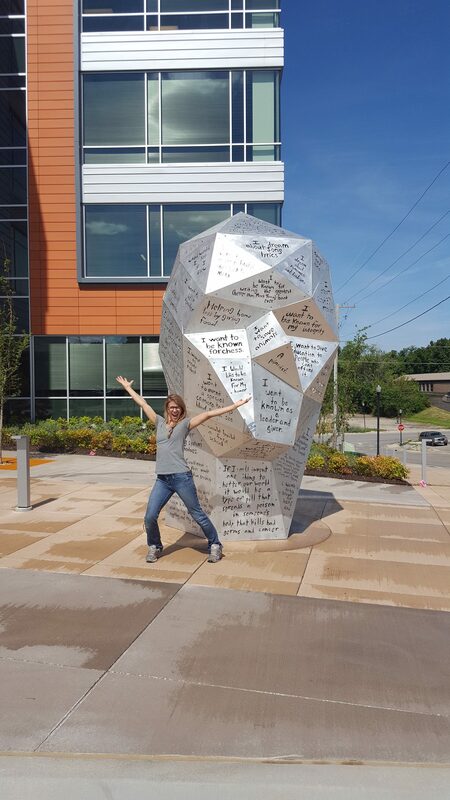 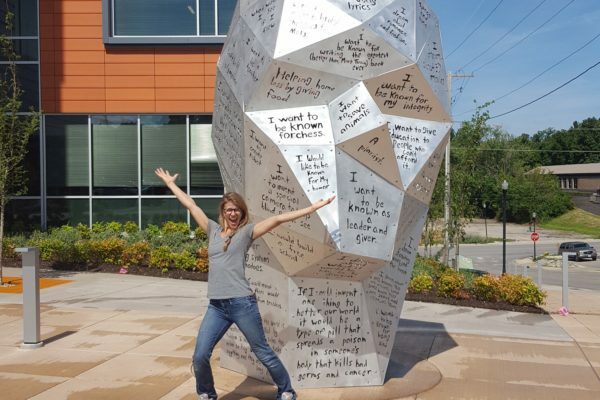 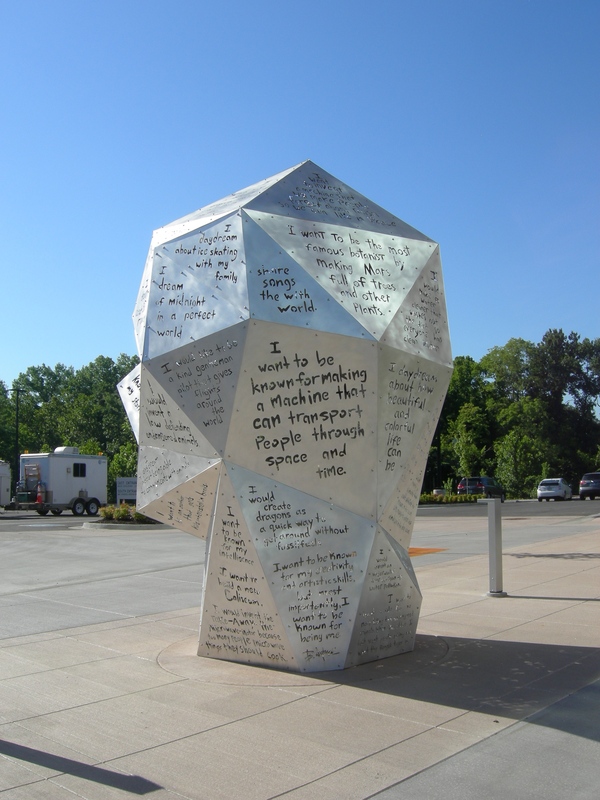 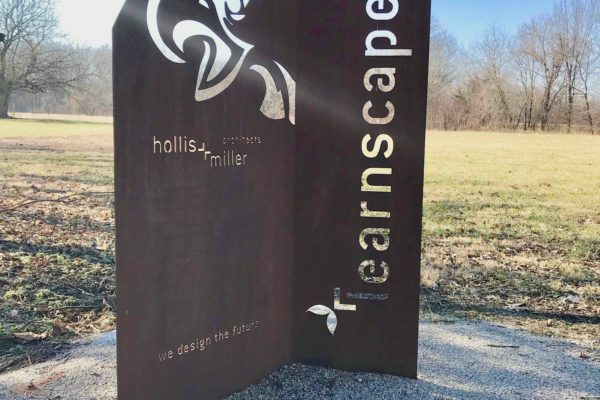 Crisp, clean and individual messages of inspiration were cut into almost 60 unique, triangular plates that, once assembled and attached to the support armature that Nybeck fabricated, created the finished sculptural piece that graces the entry to the Northland Innovation Campus.